After a five-month hiatus, my monthly Wendy's Great Eight column is finally back! This has always been one of my favorite features of The Weekend Gourmet, because I love trying new food/beverage/kitchen items and sharing my favorites with you. 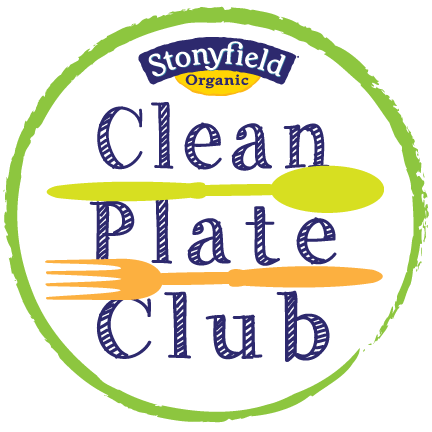 Starting this month, Wendy's Great Eight will focus mostly on healthier food and beverage items that are lower in fat, sugar, and/or calories...and contain more protein, fiber, and nutrients. There'll definitely be a splurge here and there since life is all about moderation. However, the dietary changes I've implemented post-stroke will be one of the chief guiding factors of this column. 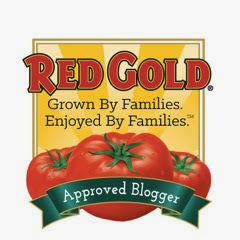 I want my readers to know that healthier-for-you food can taste AMAZING! Ready to get started?!?!? (1) ONE Protein Bars. I've been focusing on including more protein daily since joining a gym a few weeks ago. Protein bars are an excellent way to boost protein intake...but I have found that most brands have a chalky consistency and lack flavor. I was elated when I discovered ONE protein bars. Each bar averages 220 calories, with 20 grams of filling protein and just 1 gram of sugar. Best of all? ONE protein bars are certified gluten free and come in a variety of fun flavors that taste great! I love the Blueberry Cobbler, Peanut Butter Pie, or Birthday Cake flavors with a bottle of water after a gym workout. However, my favorite flavor is Salted Caramel. Tastes great AND provides a burst of protein? Sign me up! ONE protein bars can be purchases via their online store...or visit their online Store Locator to find a retail location near you. 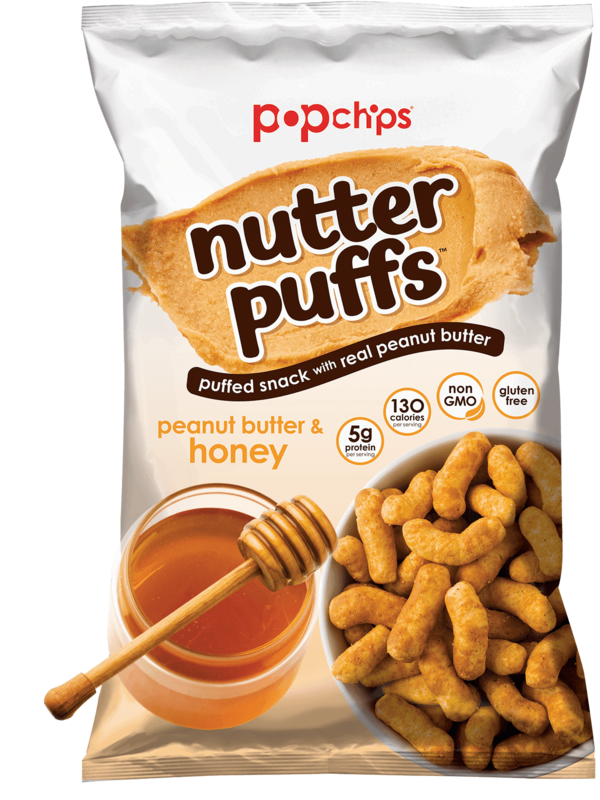 (2) Popchips Nutter Puffs. Peanut butter lovers -- myself included -- can easily eat peanut butter straight from the jar with a spoon when a craving hits. It definitely satisfies a PB craving...but it's also a lot of fat in one setting. My newest discovery to satisfy PB cravings is crunchy, addicting Nutter Puffs. I am literally in. love. with this tasty sweet-salty snack! Nutter Puffs are made with real peanut butter, and each 1-ounce serving (approx. 27 corn puffs) contains 5 grams of protein. They're also non-GMO, gluten free, and contain no artificial ingredients. Nutter Puffs come in three great flavors: Peanut Butter, Peanut Butter & Honey (my fave! 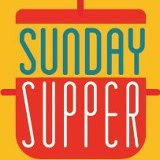 ), and Peanut Butter & Chocolate (it really satisfies those peanut butter cup cravings)! 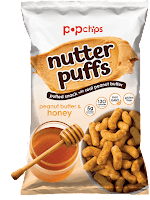 Nutter Puffs can be ordered direct from Popchips. They can also be found at retailers near you by searching their handy online Store Locator. (3) Bai Bubbles Beverage. I recently made a conscious decision to drink fewer sodas...and more water...on a weekly basis. I'm sticking with this goal pretty well, but sometimes I just want to enjoy something fizzy and refreshing. Bai Bubbles has been filling that void perfectly for me lately! Each 11.5-ounce serving has just 5 calories and 1 gram of sugar. Each can of antioxidant-infused Bai Bubbles also contains zero artificial flavors -- Bai products are sweetened with a blend of stevia and erythritol. With bold flavors like Bolivia Black Cherry, Jamaica Blood Orange, and Bogota Blackberry Lime, you have tons of options to refresh yourself on warm days! Bai Bubbles are tart, refreshing, and lightly sweet -- not as sweet as a soda, but sweeter than flavor-infused sparkling water. Bai Bubbles and other Bai beverages can be purchased direct via the website, as well as at major retailers nationwide. (4) Enlightened Ice Cream Bars. I try to snack mostly on fruit and yogurt, but sometimes I want to treat myself to something a bit more decadent -- like ice cream. These days, I try to make wiser frozen treat choices. One of my favorite ice cream bars is from Enlightened. Each bar has between 70 and 100 calories, added protein and fiber, and less sugar and fat. We absolutely love the Frozen Hot Cocoa flavor, which has 90 calories, 2.5 grams of fat, 5 grams of fiber, and 7 grams of protein. Each creamy bar features mini chocolate chips and a marshmallow swirl in chocolate ice cream. 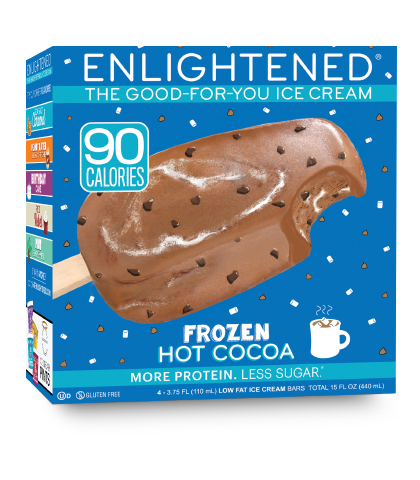 Enlightened ice cream bars come in 10 great flavors, including Sea Salt Caramel, Red Velvet, and Birthday Cake. 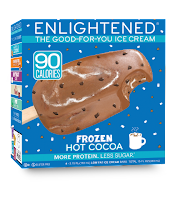 To locate Enlightened ice cream bars, be sure to visit their convenient online Store Locator. 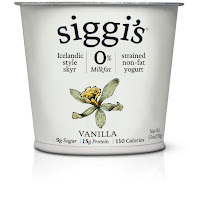 (5) Siggi's 0% Fat Free Icelandic High-Protein Yogurt. Yogurt has become a staple of my daily eating plan. During stroke rehab, yogurt was one of the first solid foods I was able to eat...so I tried a lot of brands and flavors. 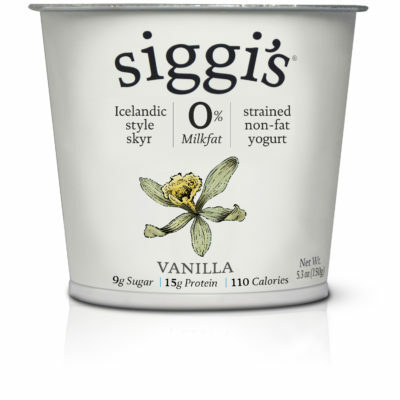 Siggi's 0% fat free Icelandic yogurt -- also known as skyr -- is one of my favorites. Its texture is thicker and creamier than Greek yogurt despite having zero fat. Siggi's yogurt is all natural and made from milk sourced from grass fed cows. It also has significantly less sugar than other yogurt brands...just 8-11 grams. Siggi's yogurt is sweetened with fresh fruits and/or a small amount of natural cane sugar. My two favorite flavors are Mixed Berries & Acai and Vanilla -- both of which provide 15 grams of filling protein. The Vanilla flavor is a perfect base for topping with fresh fruit and a sprinkle of granola for a healthy breakfast or snack. To find Siggi's at a store near you, check out their handy online Store Locator. 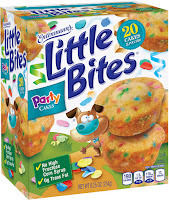 (6) Entenmann's Little Bites® Snacks. As much as I try, my sugar tooth sometimes rears its head and demands to be satisfied. To keep splurges in check, portion control is vital. That's why Entenmann's Little Bites® Snacks are on my grocery list nearly every week. They're perfectly portioned -- with four bite-size muffins, cakes, or brownies in each single serving pouch! 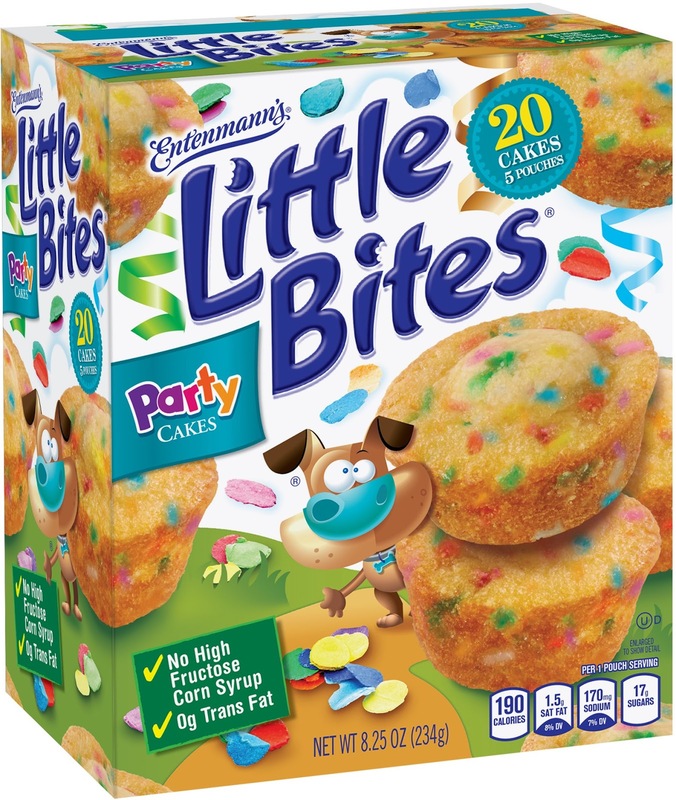 Little Bites® contain no trans fats or high fructose corn syrup, and each pouch has less than 200 calories -- except for the Crumb Cake flavor, which Little Bites® mini cakes and muffins are moist and flavorful and come in a wide range of flavors. I especially love to pair their sprinkles-filled Party Cakes with vanilla almond milk for a perfect little afternoon or after-dinner indulgence! To find Entenmann's Little Bites® at a store near you, check out their online Where to Buy feature. (7) Pereg Thai Sweet Chili Panko Bread Crumbs. I love fried foods...there's nothing quite like the crispy texture it yields. However, foods fried in oil have way too much fat and calories for me to indulge in very often. As a result, I have started oven frying to get the crunchy exterior I love without the added calories and fat that tag along. 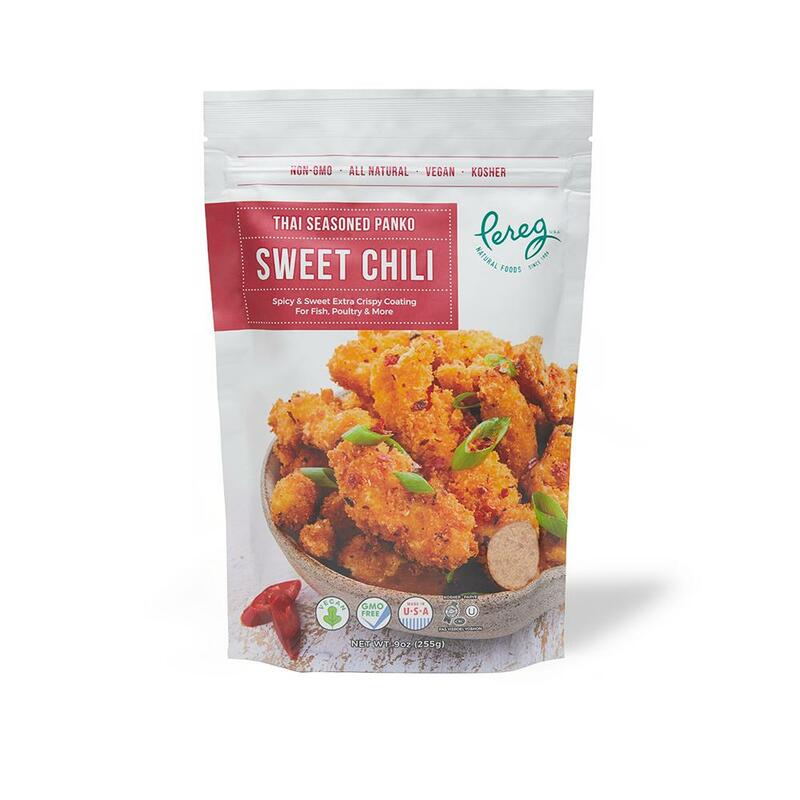 One of my favorite coatings to achieve big flavor and a crunchy exterior is Pereg's new Thai Sweet Chili Panko Bread Crumbs. They come seasoned and ready to use -- so I can have a batch of chicken tenders ready for the oven in less than 30 minutes. The end result is chicken tenders -- or fish nuggets -- that bake up super crispy and bursting with sweet-spicy flavor. Who needs deep frying with results like that from my oven! 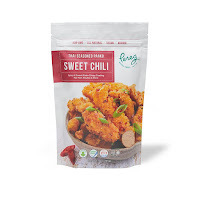 Not into Thai flavors? No worries! Pereg offers several other varieties of breadcrumbs, including Spicy Panko and Mexican. Pereg's entire product line can be shipped direct to U.S. addresses -- for information about shipping, visit Pereg's website. (8) Barnana Banana Bites. Barnana features a variety of snacks featuring potassium-rich bananas. Barnana's mission is to end food waste. Did you know that a large percentage of bananas farmed are considered imperfect because they're a little too ripe...or maybe they're the wrong size. This means they're rejected for export. 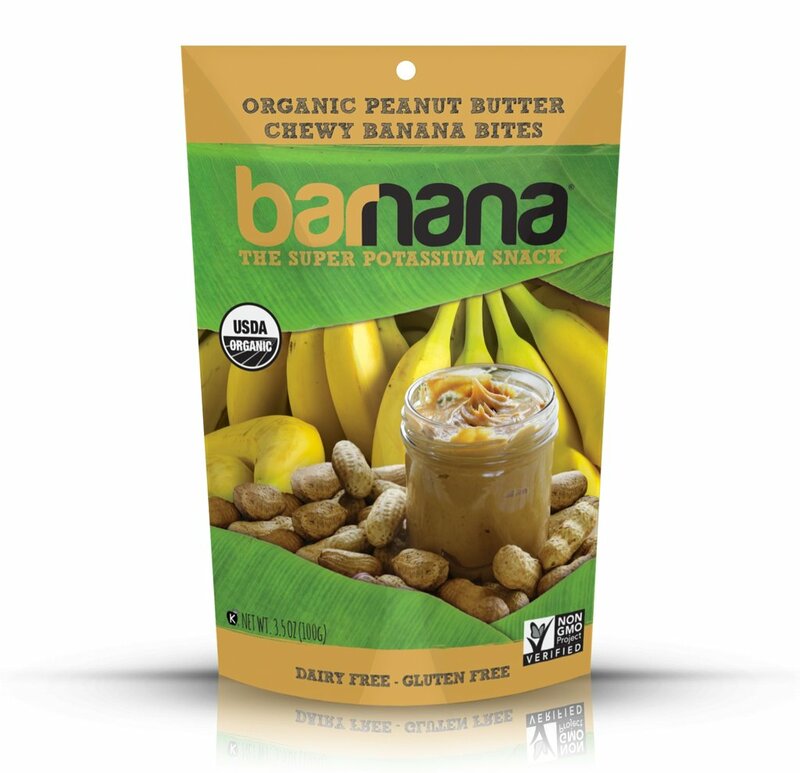 Barnana uses these "rejected" bananas to create delicious snacks like crisp, sweet Banana Brittle; crunchy, salty Plantain chips; and sweet, chewy Banana Bites. 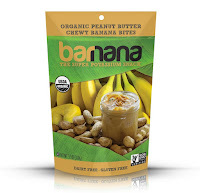 My favorite Barnana snack is the Peanut Butter Banana Bites...aka The Elvis! Sweet nuggets of dehydrated banana are dipped in a peanut butter coating...so good! To find locations near you that sell Barnana products, visit their easy-to-use Store Locator. They can also be purchased direct from Barnana via their online store. 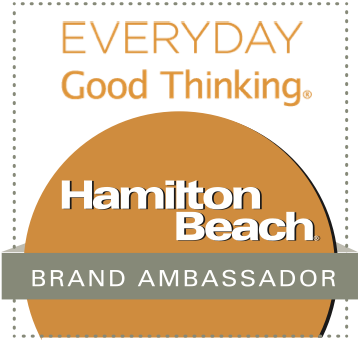 Disclosure: The Weekend Gourmet received sample products from the companies those products were featured in Wendy's Great Eight this month. All opinions expressed are solely my own; I never recommend a product to my readers that I haven't tried myself and loved.